Meet Jordan Wineland, a happy DAT Bootcamp customer who recently re-took DAT and had some of the greatest gains I’ve ever seen. 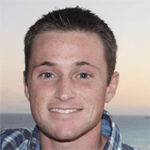 I’ve asked Jordan to share his DAT experience with us as the featured student of October. Studying for the DAT can be a grueling process for anyone who is not prepared for it. If you are aiming for scores 20 and above, you must put in the time and have the right mindset. Being a re-taker, I knew what the DAT was all about and knew 3 months would be sufficient enough for me to improve my previous scores. I also came in with the mindset that I would not be satisfied with any score I received on a practice test, not even a 30. I believe my drive to keep pushing forward and my optimism did it for me. I got what I was shooting for last year and this year, but this year I had more belief in ability to crack the 20 barrier. 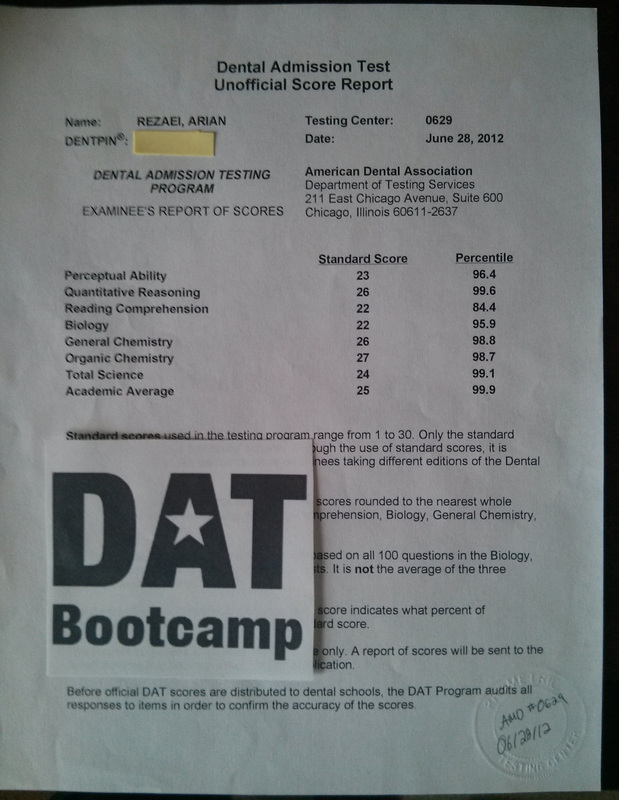 DAT Bootcamp had, hands down, the most representative practice tests around. I went through all of the sciences and took all of the biology tests twice. I started with the first two tests of each section to gauge where I was at and then jumped into the areas I was weakest in. After feeling confident in those areas, I did the third test in the section and compared my results. After studying subjects I was weaker on again, I finished the last two tests in DAT Bootcamp. I feel this is essential to do within a week of test date because this site words questions exactly as the actual test. If I went back and studied for the DAT again, I would definitely do the math and reading sections of DAT Bootcamp. I feel if I had done the rest of the math section (only did one), I would have been able to get over the hump of the 24 mark and possibly get near a 30. If you do well on Bootcamp in this section, you will definitely do well on the actual test. I also would spend more time on the reading practice. Ari does a great job reviewing ADA materials to get the tests to be very similar to the actual DAT. What would you advise to someone retaking the DAT? Re-taking the DAT can be physically and mentally draining. If you did not receive the scores you wanted on your first go around, you must work harder and smarter on your second (or third, etc). I added more time to my study schedule and set goals higher than I had last year. As stated previously, I wanted and was very excited when I scored a 19 AA last year. My goal was a 19 because I thought it would be enough to get into my in-state school and be competitive at other schools. I wouldn’t say that it was a weak score by any means, but after going through the process, I knew a goal of 19 was lower than my true potential. Confidence is key. If you don’t believe in yourself, then no one will. This phrase proves true when studying for the DAT. I have read countless posts on SDN from people who are scared, anxious, and simply projecting through their words that they do not feel like they can do it. I cannot stand these posts because I KNOW that anything is possible. If you do not believe me, look at the increase in my DAT scores. You can do this. Take studying one day at a time, relax when necessary, and believe in yourself! Once you let this happen, you WILL succeed. Good luck! Feel free to send me a message and ask any other questions on Student Doctor Network. My 2012 score breakdown was 19 AA, 19 TS, 18 BIO, 19 GC, 19 OC, 20 RC, 22 PAT, 21 QR. My 2013 score breakdown is 25 AA (+6), 25 TS (+6), 26 BIO (+8), 23 GC (+4), 29 OC (+10), 22 RC (+2), 30 PAT (+8), 24 QR (+3).